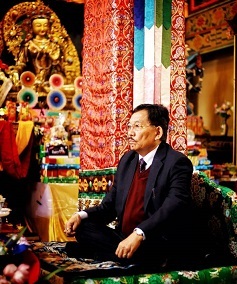 Sikkim chief minister Pawan Chamling recently inaugurated the Tashi Choling Dharma Centre, Khechuperi. The Dharma Centre was established by Soktse Rinpoche, one of the most revered Nyingmapa religious figures. 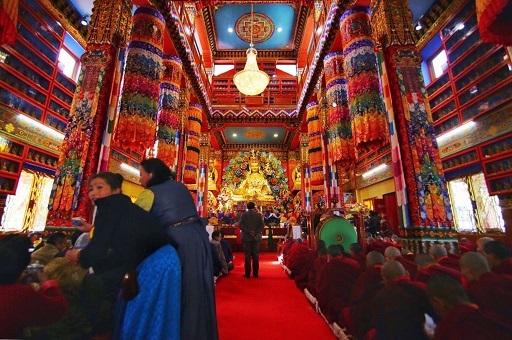 The Dharma Center houses 1000 Guru Rinpoche and 1000 Tara Statues dedicated for world peace. A token of gratitude was presented to the chief minister by Soktse Rinpoche for all his support to not only the monastery but for the development and preservation of all religions in Sikkim. The token of gratitude contained a citation and a memento. The entire ceremony took place in the presence of Khacheod Tulku Rinpoche of Pemayangtse Monastery and Serdup Dungzin Rinpoche of Namchi Monastery; Yap. Tempa Gyatso of Pemayangtse Monastery and senior monks of the Old Khechuperi Gumpa. The opening of the Tashi Choling Dharma Centre was also attended by N K Subba, Minister, UD&HD; Sonam Gyatso Lepcha, Deputy Speaker; Pintso Chopel, Parliamentary Secretary; OT Lepcha, Advisor, HRDD; KS Lepcha, MLA; Sonam Dadul Bhutia, MLA; Kapil Meena, DC West; Devika Subba, Zilla Adhakshya (West); D N Thakarpa; Kalawati Subba; R Ongmu, Chief Administrator, Panchayats and other officials.